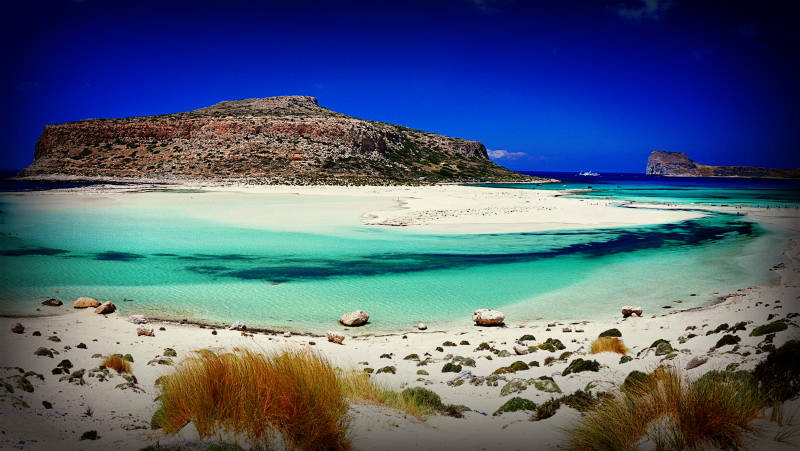 A stunning beach in Greece, one in Australia, and another in Cyprus have just been included amongst the 25 beaches to visit in a lifetime according to international news website Business Insider. Considering that 70 per cent of our planet is covered by water, offering innumerable beautiful beaches all around the world ranging from the Bahamas' Harbour Islands to the lagoon-filled turquoise waters of Bora Bora, travel experts faced a difficult challenge when invited to decide on the heavenly spots that should be added to everybody's bucket list. "There's no feeling quite like laying in soft, white sand and soaking up the sun, but the feeling is even better when you're lazing on one of the world's most beautiful beaches," writes Sarah Schmalbruch who, with a team of experts, included Crete's Elafonissi, Sydney's Bondi Beach, and Cyprus' Nissi Beach in the prestigious list. Located close to the southwestern corner of the Mediterranean island of Crete, Elafonissi is administratively a region of the prefecture of Chania. "Elafonissi's stunning light pink sand is its main drawcard and the beach is great for visitors of all ages, thanks to its shallow waters," writes Schmalbruch. When the weather is fine, it is possible to walk to the island through the shallow waters. Best known for its special beaches created by tidal and wave-induced deposits of pigmented microorganisms living in a symbiotic relationship with native seaweed, the island is a protected nature reserve. "A wide and lengthy seashore that is covered by a pink sandy beach, with shallow aquamarine waters that reach up to Elafonissi just a hundred metres from the beach, that shine from the shells hidden in its shallow waters, paint a tropical landscape," says Andreas Papadakis, who is originally from Crete and enjoys visiting Elafonissi during the summer months. "There is a fresh dynamic vibe about this place which has become a 'must' for tourists. At the same time, it's a family-friendly spot due to its crystal clear shallow waters that are easily accessible by car or boat." "This iconic beach is one of Australia's most popular sites. Visitors can lounge on the beach or enjoy the view from the Bondi Iceberg Club's pool. Surfers beware though as certain parts of the beach are known to have strong rip currents," writes Schmalbruch. 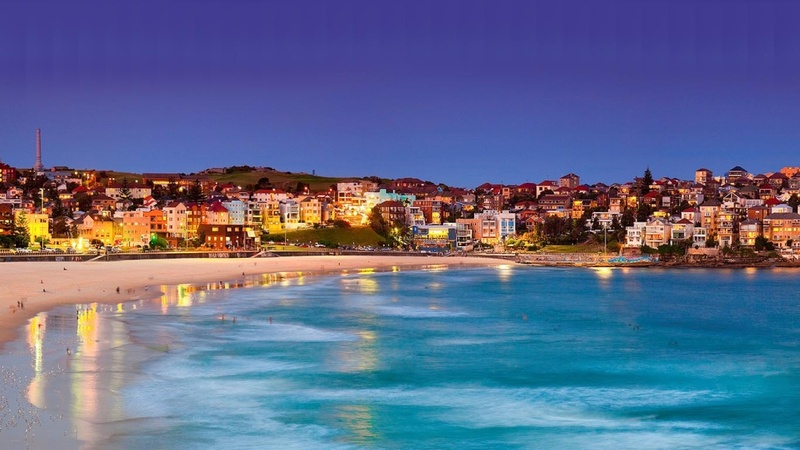 Bondi Beach is geographically nestled between one of the most stunning cliff-faced coastlines that the eastern states have to offer. "Bondi is not just a beach," says Greek Australian Maria Lucas who lives in Sydney and is a regular at Bondi. "It gives the impression of a vibrant living village; a hub where active and health conscious individuals bathe in the sun, surf the crystal Pacific waters, and do what Australians do best; enjoy the outdoors. "Bondi embraces diversity in all aspects - as does Sydney itself - and becomes a destination that people are instantly attracted to. It's also home to some of Sydney's most well-known restaurant hot spots and entertainment establishments," Lucas says. Nissi Beach is a well-known beach in the district of Famagusta, which runs the length of its own cove, stretching for 500 metres. 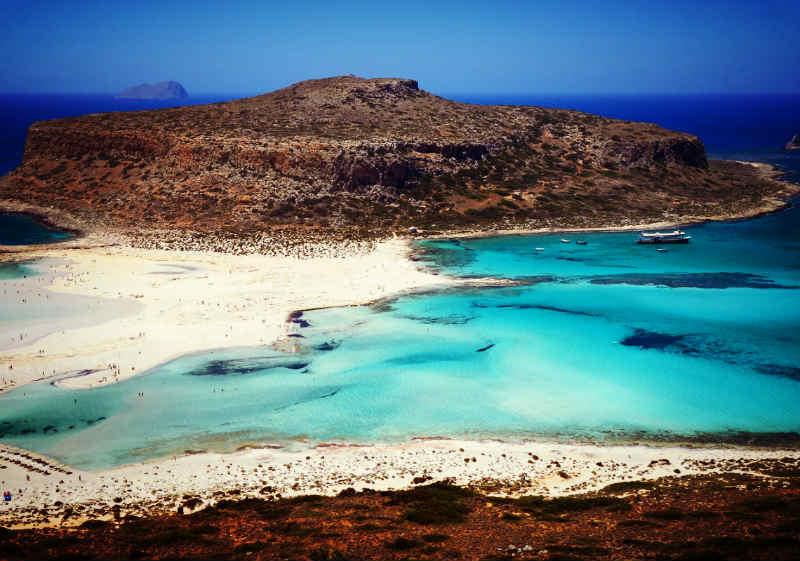 It actually derives its name from the small islet of Nissi (Greek: Νησί) located off the coast. The uninhabited islet can be easily reached on foot through the shallow waters and its location provides a good shelter for the rest of the beach. The islet is covered with low-level local vegetation. Nissi Beach has become a popular destination for clubbers following live radio programs transmitted through the BBC's Radio 1 Roadshow during the summer tourist seasons, which started in 2002. Local establishment, Nissi Bay Beach Bar, has become infamous with both locals and tourists alike, playing music throughout the day and organising events such as parties and catwalks with international guest DJs. 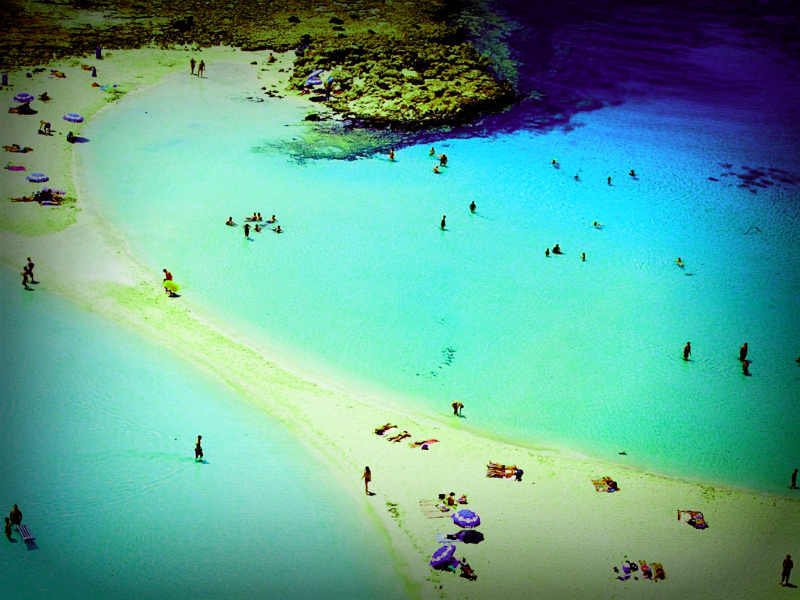 "Nissi Beach is known for its water, which is crystal clear, impressively clean, and very shallow. 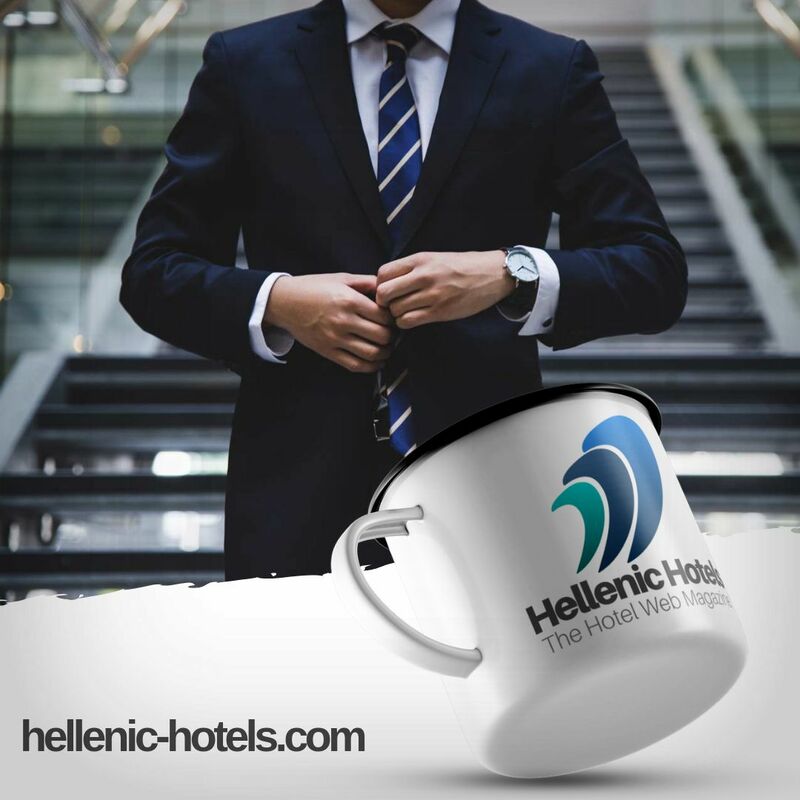 The beach is located in a small resort town on Cyprus' southeastern coast," writes Sarah Schmalbruch for Business Insider. In 2005, archaeological excavations along the western borders of the bay unearthed evidence of fire-lighting equipment dating back 12,000 years, indicating that the area could have been settled by the first inhabitants on the island. "Prior to the invasion of Cyprus, that part of the island was agricultural and primarily produced potatoes which were exported to Europe. Post-war, the government took the initiative and approved the building of the first hotel being Nissi Beach Resort," explains Cypriot Australian Harry Argyriou who visits his home island and Nissi Beach often. "Since then, the area has taken off and it has become so extremely popular that these days it is considered a major tourism destination."